Child with abacus doing homework after school. 图库照片: Child with abacus doing homework after school. Child doing homework at home. 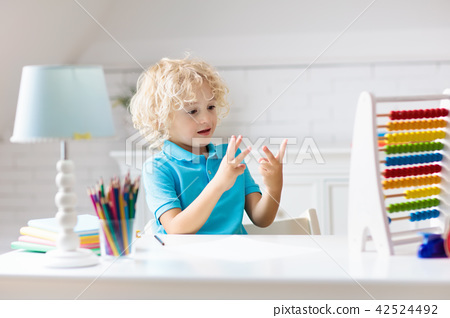 Little boy with wooden colorful abacus doing math exercise learning addition and counting. Kids study and learn. Preschooler kid writing and reading. Back to school.